OLYMPIA — Attorney General Bob Ferguson today released an updated Student Loan Survival Guide, which provides tips and resources for those impacted by student loans, including high school students thinking about taking out student loans, former college students making repayments and parents who cosigned loans. 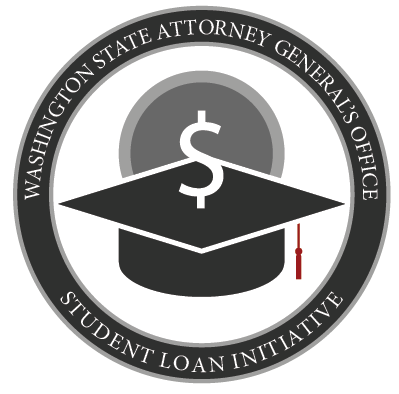 Among updates to the guide is information about the new Student Loan Advocate at the Washington Student Achievement Council (WSAC), a position created by AG-request legislation last year. The advocate is now available to help student loan borrowers understand the terms of their loans and options available to them, such as loan forgiveness and deferment. Students can contact the advocate directly by calling (833) 881-0397, sending an email to LoanAdvocate@wsac.wa.gov or visiting https://wsac.wa.gov/loan-advocacy. The Student Loan Survival Guide was originally published in January 2017. The guide provides up-to-date information about picking a credible school, taking out loans, repayment and loan forgiveness eligibility. The guide also includes sections specifically for transfer students, parents of students, cosigners, military service members and veterans. Last year, Ferguson’s agency-request bill providing vital protections for Washington’s more than 800,000 student loan borrowers passed the state legislature. This bill, known as the Student Loan Bill of Rights, created the WSAC student loan advocate position. The new law also requires student loan servicers to credit borrowers’ payments within one business day, respond to requests for information promptly in writing and refund fees assessed in error, among other standards. Sen. Marko Liias, D-Lynnwood, and Rep. Monica Stonier, D-Vancouver, sponsored the legislation. Ferguson has filed two lawsuits against the federal government to defend important student loan protections. A federal judge ruled in one case that the Department of Education improperly delayed borrower defense protections. The other case, regarding the gainful employment rule, is still ongoing. Ferguson has also urged the federal government to protect students in 10 separate multistate letters. The Attorney General’s Office introduced the Student Loan Transparency Act in 2017, a bill that requires schools to provide students basic information on their student loans. The bill passed overwhelmingly in the House with a bipartisan vote and unanimously in the Senate. In January 2017, Ferguson filed a lawsuit, along with the state of Illinois and the U.S. Consumer Financial Protection Bureau, against loan servicer Navient. The lawsuit alleges that Navient engaged in a number of unfair and deceptive practices, including misapplying borrower payments and using aggressive and misleading collection tactics. Ferguson has obtained debt relief for thousands of student borrowers who attended for-profit colleges that used misleading and deceptive recruitment practices. He has also recovered almost $1.5 million cracking down on debt adjustment companies that charge fees to help borrowers consolidate their federal student loans and enroll in income-driven repayment plans — tasks that borrowers’ loan servicers can and should help them with for free. More information on the office’s student loan work is available here.